What does holiday pay include? Under the Working Time Regulations 1998 workers are entitled to be paid during statutory annual leave at the rate of “a week’s pay” for each week of annual leave, calculated in accordance with the Employment Rights Act 1996 (“ERA”). However, following two decisions of the European Court of Justice, the Employment Appeal Tribunal (“EAT”) held in the case of Bear Scotland Ltd and others v Fulton and others* that the rules in the ERA do not provide workers with the holiday pay to which they should be entitled under the Working Time Directive. The Working Time Directive requires workers to receive their “normal remuneration” during periods of leave derived from the Directive ie the four weeks of statutory leave. It should be noted that the above elements do not need to be incorporated in paid holiday over and above the first four weeks each year. The extra 1.6 weeks’ holiday pay may be calculated as previously so for workers who do not have normal working hours, the holiday pay for the extra 1.6 weeks will be calculated as an average of all remuneration earned in the previous 12 working weeks (this will include overtime payments and commission). Those with normal working hours will have their week’s pay calculated with reference to those hours and this will be basic salary without commission or bonuses. For businesses where commission is significant or, in the case of certain businesses, like the retail motor industry, where more than half a sales executive’s income may be made up of that element there is the issue of how holiday pay is calculated and there is also the issue of the reduction in pay likely to be suffered when the worker returns from holiday. At present there is no definitive legal answer about how such holiday pay calculations must be made. 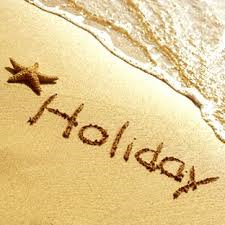 However, commission must be factored into holiday payments for the first four weeks of statutory annual leave. Employers may average out the commission earned in a period before the holiday and make an allowance for it. Before the EAT’s judgment in the Bear Scotland case employers were faced with the possibility of back pay claims for underpaid holiday pay stretching back many years. The introduction of The Deductions from Wages (Limitation) Regulations 2014 means that when making a claim for backdated deductions from wages for holiday pay, a two year cap will be placed on all claims that are brought after 1 July 2015. This means that the period that the claim can cover will be limited to a maximum of two years. Employers are advised to start paying holiday pay at the correct rates for the first four weeks of leave in each holiday year. This will have the advantage of extinguishing any historical claims once a period of 3 months has passed as workers must lodge claims within 3 months of the last underpayment of holiday pay failing which the right to claim is lost.